If you know me at all, you know I’m a huge fan of home remedies. I remember my mother using baking soda for indigestion, and at the end of a long day, I love taking a bath with epsom salt and essential oils. 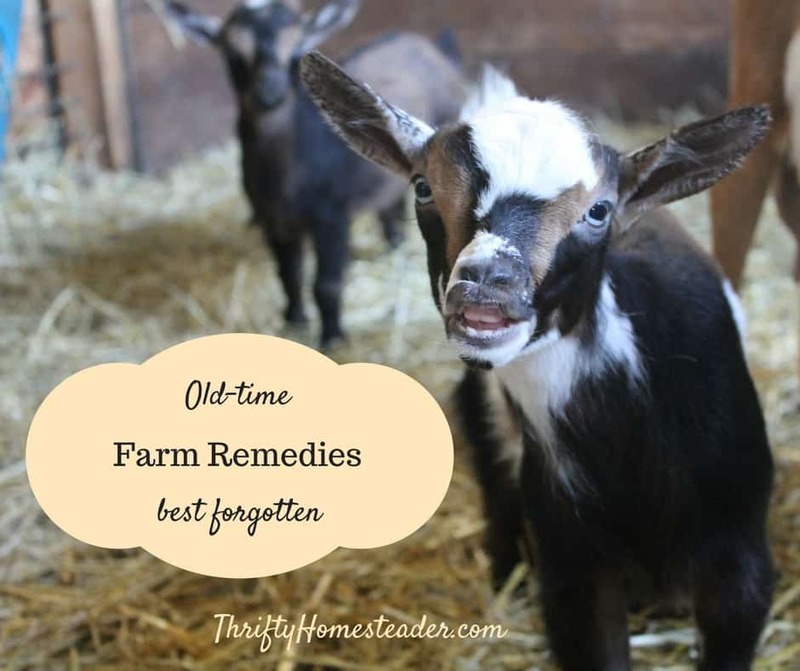 But not all old-time remedies are better than modern alternatives. In fact, I’m downright shocked that I continue to see the following remedies suggested by people on social media. And every now and then, someone will even say their vet told them to use it! 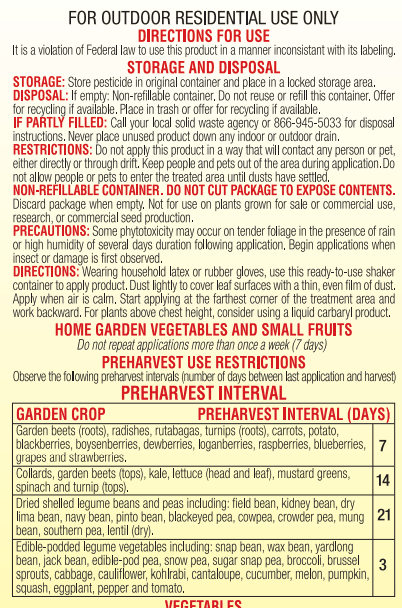 The label also tells you how long you should wait after using Sevin dust before harvesting vegetables that have been treated with it. Of course, there is no information on eggs or milk withdrawal time because the product is not supposed to be used on live animals. But no doubt the poison does get into the eggs and milk of animals that have gobs of this stuff sprinkled on their bodies and left there. If you’re in doubt about how much can be absorbed through the skin, consider the fact that an estrogen patch has 1/20 as much estrogen as a pill. The label even tells you to wear latex or rubber gloves when applying the product and to flush the skin with water if it comes into contact with skin. And in case you were wondering, yes this product is a carcinogen. So, if you’re producing your own food because you want it to be as natural as possible, it is not a good idea to use this product in your garden — much less on animals that are producing food for you! There are commercial products today made specifically for livestock that can be used for lice and mites. When using products made specifically for livestock, the label will tell you about withdrawal times for food produced by those animals, such as eggs, milk, and meat. You can also use natural products, such as diatomaceous earth, sulfur, and essential oils. My favorite remedy for lice on goats is to simply shave off their hair, if the weather is warm enough. I remember my father pouring used motor oil on our dog’s back when I was growing up in the 70s. In his defense, this was south Texas, where fleas were terrible, and nothing we bought at the store worked any better back then. But we’ve learned a lot in the last 40-50 years, and we have more options today. Unfortunately, I do still see this one suggested sometimes on social media for fleas, as well as for mites or lice on goats. Petroleum products are carcinogenic and should not be put on the skin of any living creature. Plus it gets into the bloodstream, which means it will be in the meat and milk of the animal. Bathing the animal later does NOT get the chemicals out of their blood, milk, or meat. There are plenty of commercial options available today that really work. In addition to all of those products, a lot of people swear by diatomaceous earth for fleas. There’s also a multitude of essential oil combinations online. I don’t have any particular recipe to share because luckily we don’t have a problem with fleas or mites. For lice, if it’s too cold to shave off the goat’s hair, I use pour-on Eprinex because it has 0 days milk withdrawal. I’ve never heard anyone say that any of the pour-ons didn’t work for them, so you have lots of legitimate options. This goes back to the mid-20th century when Tide was a powdered detergent that was mostly surfactant and fragrance. Commercially available bloat preparations are surfactants, so the logic behind this is decent. However, modern Tide is totally different than what was available back in the day when this was a popular remedy. Today’s Tide is far more concentrated because of HE machines, and it contains 27 ingredients, including optical brighteners, water softening chemicals, enzymes, polymers, colors, and fragrance, in addition to five different surfactants. Many of these ingredients are carcinogenic and endocrine disruptors, which is why many people today have chosen more natural laundry detergents — and that’s just because we don’t want them on our skin! None of the ingredients in modern laundry detergent are meant to be consumed orally and are poisons. What happens when Tide or other modern detergent is consumed? In 2012 and 2013, 700 children wound up in the hospital and one child died after consuming Tide laundry pods. In 2013 and 2014, 62,264 children were poisoned by laundry or dishwasher detergent, and 117 required intubation while 21 went into a coma, and two died. There is a commercial treatment for bloat, but you can also drench a goat with an ounce or two of cooking oil, such as olive oil, sunflower oil, etc. Thank you. I am admin of a goat health page and I see people suggesting Sevin dust I cringe as well. Better to smother the things with coconut oil. I never believed that bloat being treated with a toxic detergent was prudent and that also makes me cringe. Good old baking soda and a vegetable oil (not canola) Is best. The practice of leaving balking soda out free choice also is just wrong and it interferes with the animals ability to make their own bicarbonate and make bloat so much harder to treat. This is one of the reasons I consider you a friend and why I own you book and follow your posts and blog so religiously.